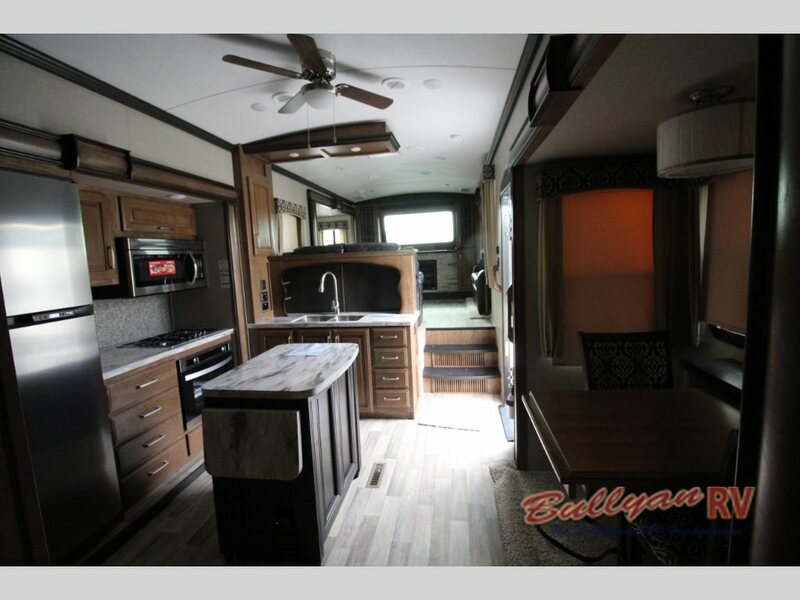 More space means more features when it comes to the Keystone Montana 3730FL fifth wheel. 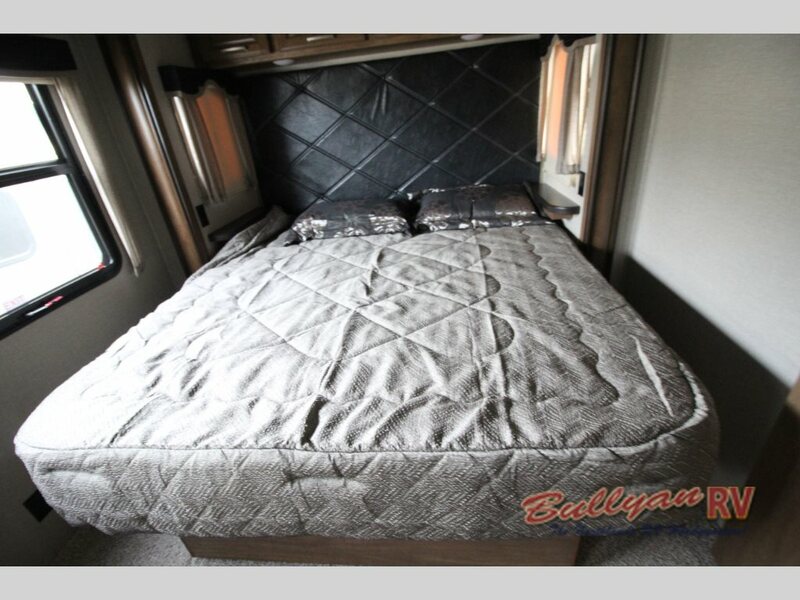 This model comes with six slideouts, making it one of the largest campers in its class. With dual slides in every area, you will find that you have more than enough space in every room. 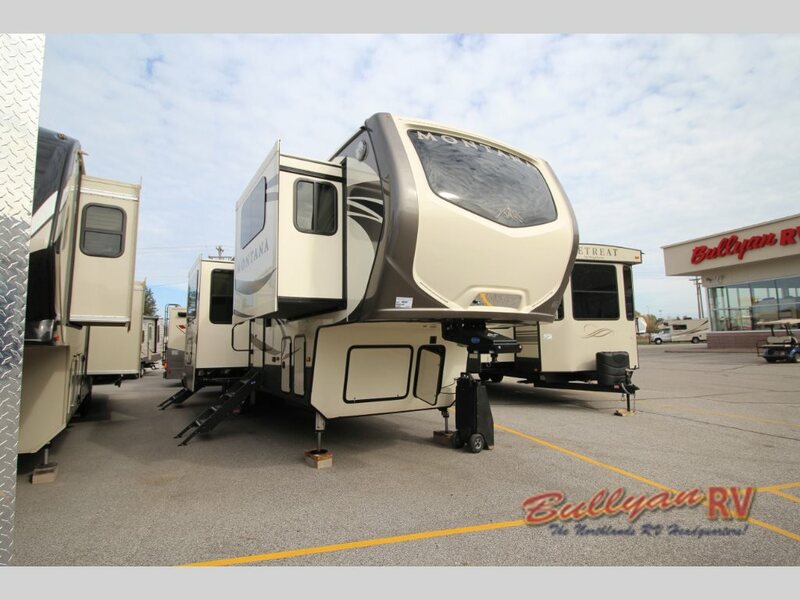 Check out the amazing six slide Keystone Montana 3730FL fifth wheel! As you enter through one of the dual entry doors of the Montana 3730FL, you will walk into the kitchen area. The first two slides are located here to give you an incredibly large cooking area. Inside one slide is the free standing dinette perfect for enjoying your meals. You also find a full kitchen with pantry and a space for a stackable washer and dryer. The spacious design can be found in every room. This fifth wheel is unique because it has the living room situated in the front, raised portion. You will also find two more slides here to give you dual opposing hide-a-bed sofas, and this, plus the theater seating, you’ll have many places to enjoy watching the 48 inch HD LED TV and sitting by the fireplace. Lots of comfortable furniture in the front raised living room. The second entry door will be located right across from the bathroom to give you easy access from the outside. Inside this bathroom, you’ll find everything you need to take care of yourself on the road including a 48 x 30 inch shower! Upgrade to a king bed for maximum sleeping space. Through the sliding door to the left of the bathroom, you will walk into the master bedroom. Here you will find either a queen bed or a king bed if you want to upgrade, and both options will have a full storage space underneath. The final two slides are here to give you enough room for a wardrobe and 32 inch HD LED TV. Feel free to contact us to find out everything you can get from this incredible camper. 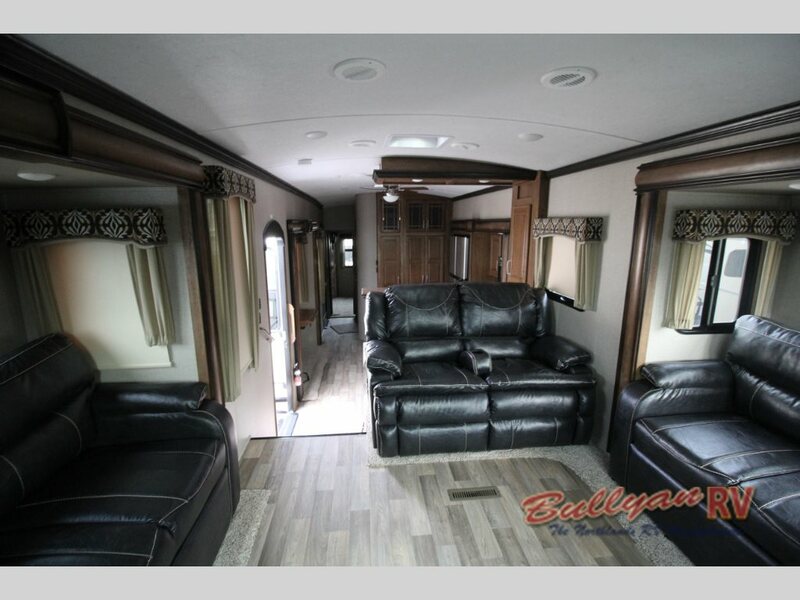 But to truly experience the spaciousness of the Keystone Montana 3730FL fifth wheel, come by our location, so we can show you around the interior of this or any of our other fifth wheels, travel trailers, toy haulers, and motorhomes.